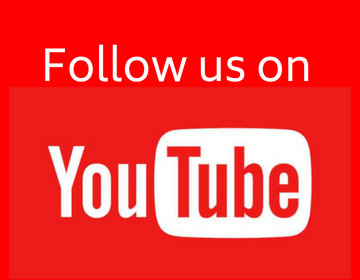 It is a three-dimensional figure made of six equal square sides. It is a number which is the product of three same numbers. Example: Cube number of 2 will be 2 x 2 x 2 = 8. Thus, 8 is a cube number. 1. The cube of an even number will always be an even number. Example: 83 = 512, 123 = 1728, etc. 2. The cube of odd number will always be an odd number. Example: 73 = 343, 193 = 6589, etc. 113 = 1331, 213 = 9261, etc. 23 = 8, 123 = 1728, 323 = 32768, etc. 133 = 2197, 533 = 148877, etc. 243 = 13824, 743 = 405224, etc. 153 = 3375, 253 = 15625, etc. 63 = 216, 263 = 17576,etc. 173 = 4913, 373 = 50653,etc. 83 = 512, 183 = 5832, etc. 193 = 6859, 393 = 59319, etc. 103 = 1000, 203 = 8000, etc. Example 1: Find the one’s digit for 27. Solution: As the last digit of given number is 7, So the one’s digit for 27’s cube number will be 3. Example 2: Find the one’s digit for 149. Solution: As the last digit of given number is 9, So the one’s digit for 149’s cube number will be 9. The prime factors of any cube number will be in pair of 3. (i) If any prime factor is not in pair of 3, then it will not be a perfect cube. (ii) Numbers like 1729, 4104, 13832, are known as Hardy – Ramanujan Numbers. 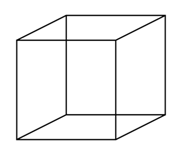 They can be expressed as sum of two cubes in two different ways. Example 1: Is 128 a perfect cube number? We can see that each prime factor is not in pair of 3. Hence, 128 is not a perfect cube number. Example 2: Find the smallest number by which 675 must be multiplied to obtain a perfect cube. Solution: On finding prime factors of 675, we have 675 = 3 x 3 x 3 x 5 x 5. We can see that, triplets of 5 is missing. Hence, on multiplying given number by 5 we can have a perfect cube number. Thus, 675 x 5 = 3375 which is a perfect cube number. Example 3: Find the smallest number by which 192 must be divided to obtain a perfect cube. Solution: On finding prime factors of 192, we have 192 = 2 x 2 x 2 x 2 x 2 x 2 x 3. We can see that, triplets of 3 is missing while other numbers have triplets. Hence, on dividing given number by 3 we can have a perfect cube number. Thus, 192 / 3 = 64 which is a perfect cube number. It is the inverse operation of finding a cube. Symbol ∛ represents a cube-root. Example: ∛8 = 2, ∛216 = 6, etc. Step 1: Find all the prime factors of given cube number. Step 2: Make as many group of 3 for all common digit. Step 3: Replace group of 3 by respective single digit. Step 4: Product of these single digits will give the cube root. Example 1: Find cube root of 3375. The prime factors of 3375 will be 5, 5, 3, 3, 3, 5. Step 2: Making group of 3 for every common digit. Step 3: Replacing group of 3 by respective digit. Thus, we get 3 and 5. Step 4: Taking product of digits. We get, 3 x 5 = 15. Example 2: Find cube root of 46656. Solution: The prime factors of 46656 are 2, 2, 2, 2, 2, 2, 3, 3, 3, 3, 3, 3. On grouping, we have 46656 = 2 x 2 x 2 x 2 x 2 x 2 x 3 x 3 x 3 x 3 x 3 x 3. So, ∛46656 = 2 x 2 x 3 x 3 = 36. 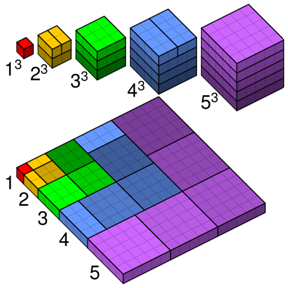 Step 1: For given cube number start making groups of three digits starting from the right most digit of the number. We can estimate the cube root of a given cube number through a step by step process. Step 2: First group will give you the one’s (or unit’s) digit of the required cube root. Step 3: Now take another group, let it be xyz. Find, a3 < xyz < b3. We take the one’s place, of the smaller number a3 as the ten’s place of the required cube root. Step 4: The digits obtained in step 2 and step 3 will give the final result. Example 1: Find the cube root of 17576. Step 1: We will form groups of three starting from the rightmost side of 17567. Thus, the two groups formed will be 576 and 17. Step 2: For the group 576, the number at unit’s place will be 6. Step 3: The other group is 17. The group 17 lies between 23 and 33. Now, as per the method we will take the smaller number which is 2 in this case. Step 4: Combining the two digits obtained in step 2 and 3, we get 26. Example 2: Guess the cube root of 4913. Solution:The two groups of 4913 will be 4 and 913. For group 913, as the last digit is 3 so its cube root will have 7 at its unit place. For group 4, it will lie between 13 < 4 < 23. Taking the smaller number which is 1 in this case.